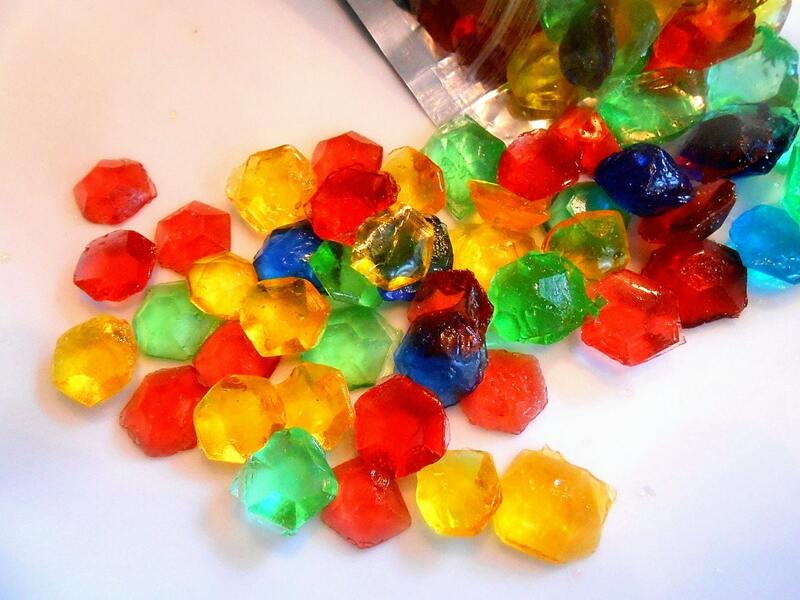 Whether you are having a Zelda Rupees party or need wedding favors, these are adorable edible favors. 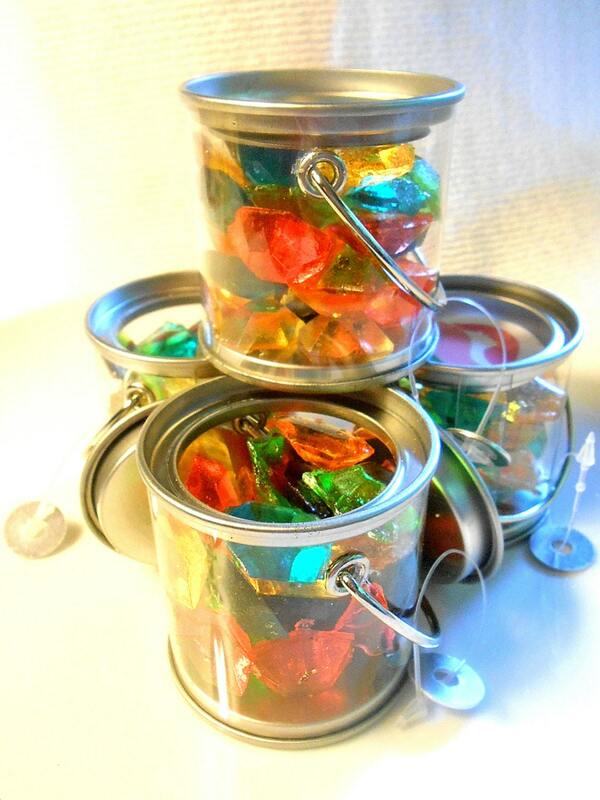 Zelda color are 6 colors (lots of golden rupees) in all to make your bucket of gems the sparkle of your party. They are sold only in the quantitiies shown or more and if you need a personalized label, I can do it if you give me enough time. Convo me for specifics. I have selected a mild sweet flavor for these candies that everyone will love. The quantities and prices can be found in the drop down box on this page.They are 3/4 of an inch wide. 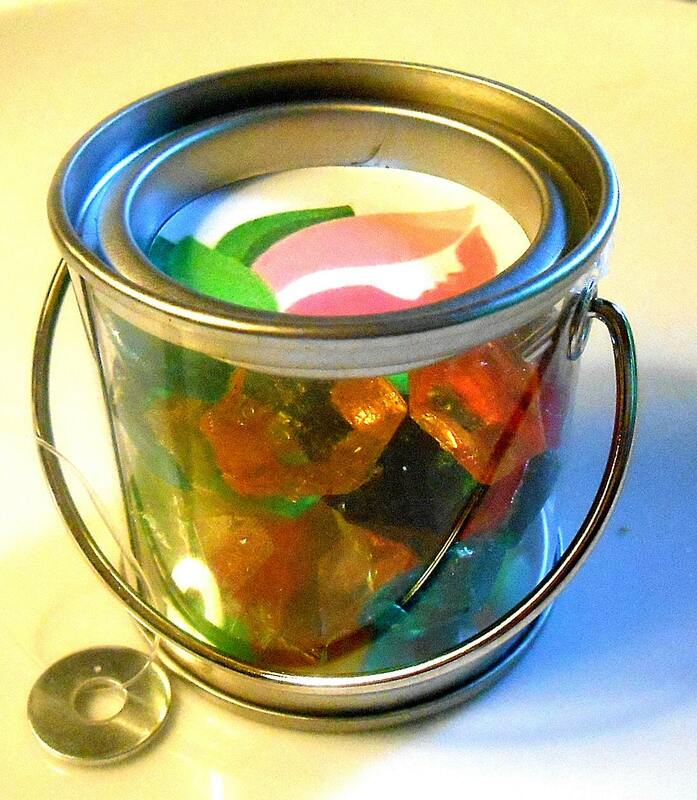 and the little clear buckets weight 3 ounces each. A perfect favor size. If you would like custom colors to match your wedding party, just let me know and I'll build you a custom page. Everything about my experience was fantastic! 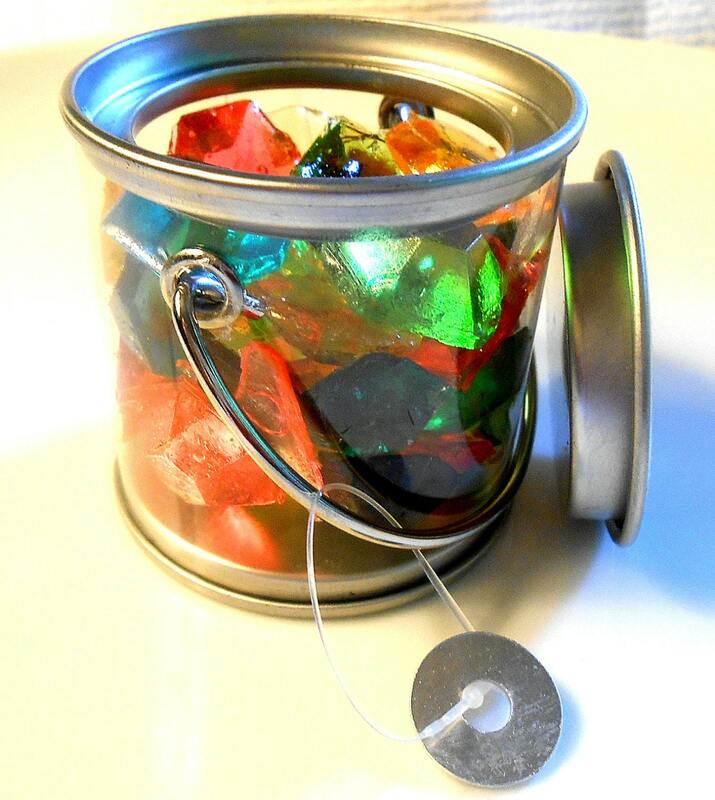 The favor tins were not going to be available in time for the party, but Janet immediately issued a refund and the candy got here two days before the party. I had plenty of time to find a different type of packaging. The favors turned out great and the candy was delicious! Everyone loved it! I will definitely buy other items for Christmas, birthdays, etc. Thanks again! Ordered these for my son’s birthday party favors. The kids loved them and the candy tasted great! 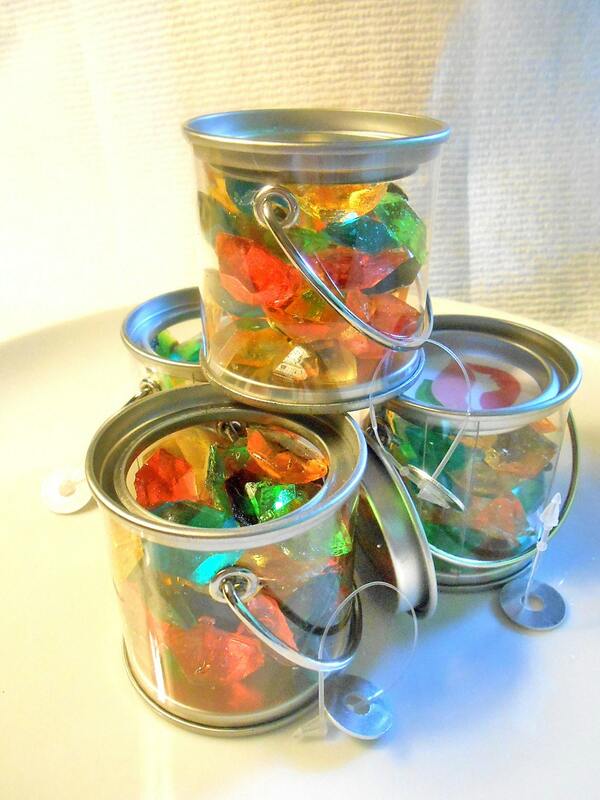 These are super cute and were a big hit as favors for my daughter's Minecraft birthday party. We had a miscommunication regarding delivery timing, which the seller took great effort to remedy, which I appreciate. Be aware, though: even if you have discussed specific timing in a convo, reiterate that in your "notes to seller" at checkout to avoid similar confusion.